The Emerson SPV grid inverter solution, chosen for one of the UK’s first ‘sun parks’ generating 1 MW of power, has just completed its first 12 months of generation and has exceeded expectations by some 4%. During this time the sun park has exceeded one million kilowatt-hours of electricity production. 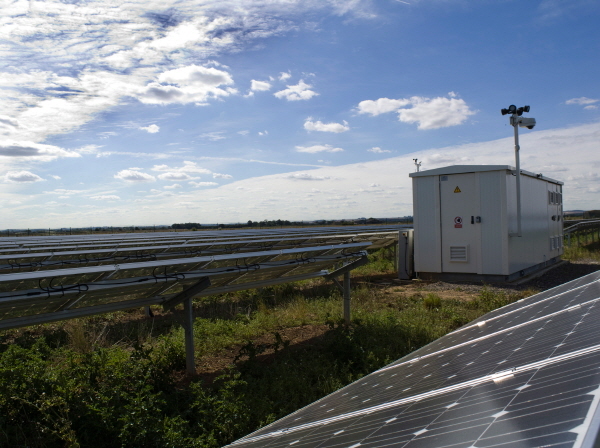 Ecotricity’s 1.95 hectare Fen Farm Sun Park in Lincolnshire has 5,157 solar panels, and feeds into the same sub-station as the company’s 20 MW wind park that has been generating green electricity since July 2008. The sun park alone generates enough electricity to power around 250 homes. These two power sources are complementary – in winter, when there’s less sun there is typically more wind, and vice versa in the summer months. Ecotricity sees this ‘hybrid’ solution as an ideal design for future green energy. 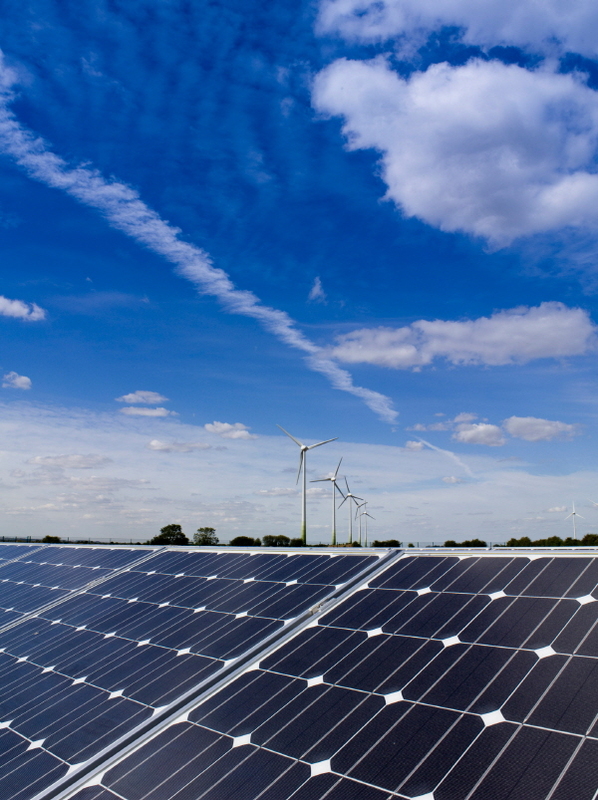 BeBa Energy of Hemel Hempstead won the contract to provide the end-to-end solution and complete the interface between the solar panels and the grid. After thorough research they selected the Emerson SPV 1500 system for the electrical conversion, with five power modules. BeBa Energy installed and commissioned the whole system and is responsible for running the site on behalf of Ecotricity. BeBa Energy is also responsible for first-line maintenance and support for all such Emerson systems in the UK. With projected system performance of the Fen Farm Sun Park, it is anticipated that the return on investment (ROI) will be around 10 years. Emerson SPV systems are all about maximum yield – a combination of the best efficiency, the maximum number of operating hours a day and reliability that comes from a proven, stable design – all of which gives the most competitive ROI. What’s more, operators and financiers alike can be confident in the future of Emerson – a Fortune 500 global manufacturing company that brings innovative technological solutions to its customers. With 140,000 employees worldwide, 265 manufacturing facilities and a strong balance sheet, Emerson is a truly bankable partner. 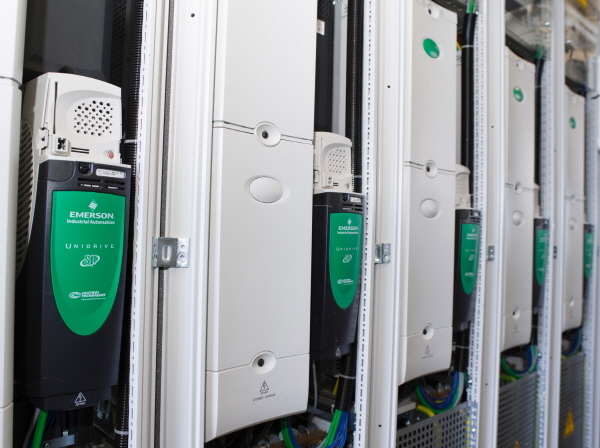 The Emerson SPV systems represent a range of central inverters from 145 kVA to 1590 kVA. Above 175 kVA, each inverter is constructed using multiple standard, mass-produced 175 kVA modules. This modularity allows the active inverter to be continuously scaled to optimise energy efficiency for all conditions, enabling generation to start and continue even in low light conditions. This results in the SPV systems achieving peak efficiencies of 98.1% at extremely low loading conditions, and maintaining a flat efficiency curve throughout the loading spectrum, resulting in >98% using the EU weighing factor. Emerson’s unique Maximum Power Point Tracking algorithm maximises power from both crystalline and thin film solar arrays. 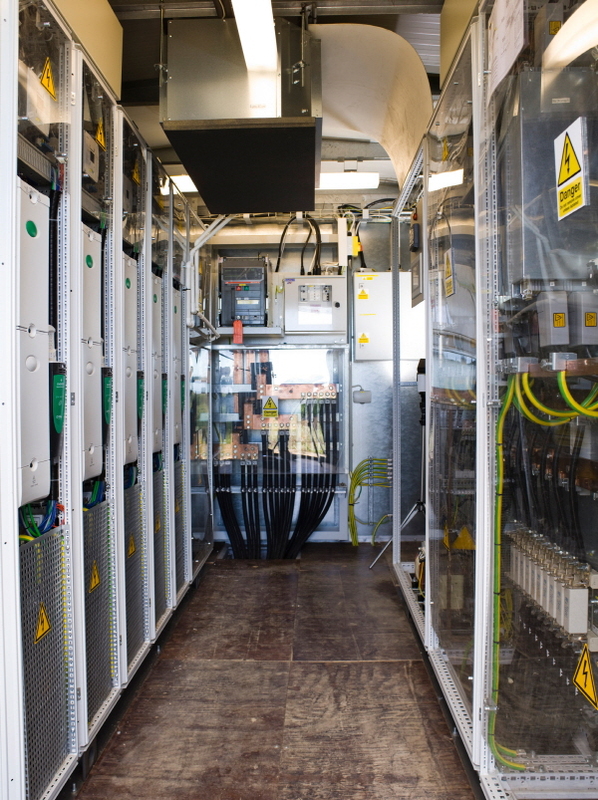 In the event of any inverter module trip, the system automatically reconfigures to continue generating. For critical systems, redundancy is easily built in simply by adding additional modules, with active and standby duty being rotated to extend plant life. Each inverter module is compact and lightweight so that it can be handled and interchanged easily. Ecotricity was not only the UK’s, but the world’s first ‘green’ electricity supplier, kick starting the now global green electricity movement. Its mission was, and still remains, to change the way in which electricity is made and used in Britain. 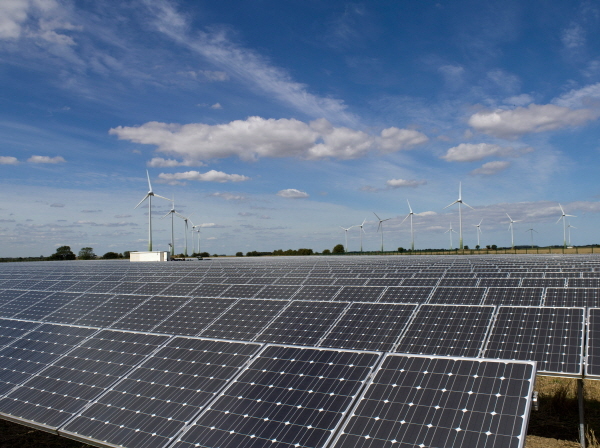 The company uses income from customers’ bills to fund the building of new sources of green energy, such as Fen Farm. BeBa Energy UK is a UK leader in the design and installation of solar PV systems and the distribution of solar PV components – panels, inverters and mounting systems. BeBa Energy UK was formed in 2009 from a joint venture between a leading German PV company, BeBa Energie and a well known UK renewable energy specialist. The company is fully MCS accredited.